And though science continues to provide the world with objective evidence to support his conclusions, it is not necessarily my intent that this blog post serve as an apologetic for Sussman’s, or anyone else’s, epistemology of race. That said, I find it interesting, if not ironic, that many who do subscribe to the concept of race as a scientific reality, choose to engage in discourse about those who exhibit “racist” attitudes, either overtly or covertly, not from the standpoint of biology but morality. Secondly, and, conversely, if in fact racism is merely a biological response to a biologically-produced attribute of humankind, then, why is racism ever “wrong”? In other words, at what point does morality supersede science? This is important to note because when it comes to matters of race, and race-relations, the ethno-ethos to which most people subscribe is predicated on our horizontal relationship to one another as opposed to our vertical relationship to God. You see, the problem with the kind ethno-moralistic relativism being espoused today by many social justice activists, is it preaches the delusive message of cura te ipsum (“physician heal thyself”). Racism isn’t wrong because we all bleed red. Racism isn’t wrong because we all breathe the same air. 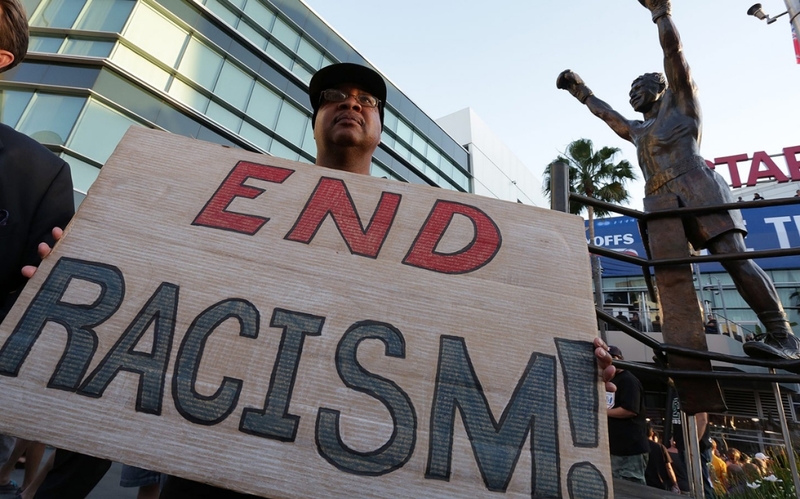 Racism isn’t wrong because of our sociological, anthropological, or biological similarities. Racism – a word I personally loathe but will use for the sake of this commentary – is “wrong” not because you or I declare it to be so, but because it reflects a sinful heart-attitude that disavows the glory of God by deliberately harboring hateful biases toward those who, like you and I, have been created by God to reflect His image to a sin-sick world that does not know Him as Savior and Lord (Gen. 1:27; Matt. 5:13-16). It is our failure to acknowledge this objective, never-changing truth that makes racism wrong, not the subjective, ever-shifting ethics of mankind. To those calling for an “end” to racism, I applaud you, and I have the utmost respect for you. And yet, I wonder, do you actually understand what you’re saying when you say that? Do you have any idea what you’re truly asking (Matt. 7:2)? What you are asking, whether you realize it or not, is for the perpetual attitudinal and behavioral perfection of more than six billion sinners who occupy this planet (yourself being one of them.) Now, I ask you, my brother or sister, how do you propose to accomplish this? Through more protests? More laws? More social media hashtags? More race-based government programs that help “level the playing field”? You know none of those is really the solution, don’t you? Of course you do. You know this because you understand that the real problem is not the darkness of a person’s skin but the darkness of their heart (Mk. 7:17-23).